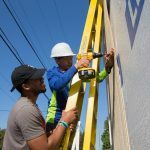 Austin Collier ’19 helps a middle school student use a cordless drill while putting up walls for a tiny house. 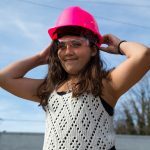 Wearing a white hard hat and eye-protecting goggles, Dai’Dieon looked the part of a young construction worker. 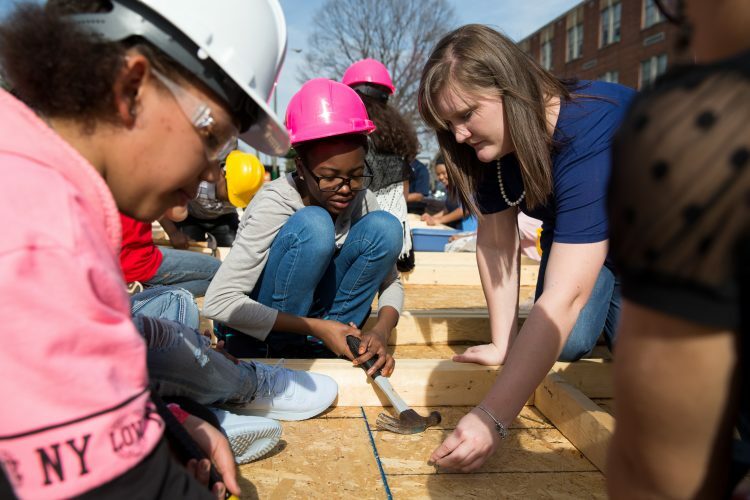 Hammer in hand, the seventh-grader at Paul Laurence Dunbar Middle School for Innovation lined up his nail and prepared to drive it into the plywood siding. “Wait just a second,” Austin Collier ’19 said, further adjusting the nail. “Okay…now.” Dai’Dieon then raised the hammer and hit the nail perfectly on its head. When it was secure, he grinned at Collier, who gave him a high five. “Awesome job!” Collier said. 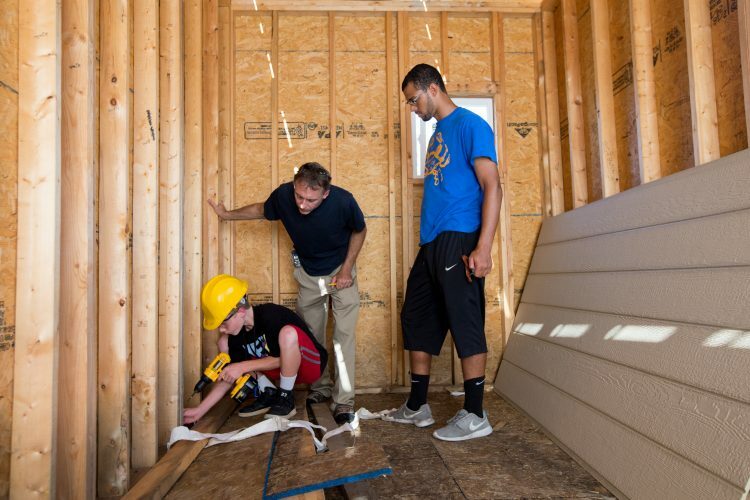 The pair recently became friends during a yearlong effort to build a tiny house at Dunbar. 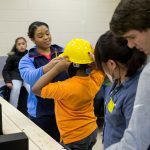 The project was part of the Kids in College program, which partners Randolph students with students at local public schools to work together on Science, Technology, Engineering, and Mathematics (STEAM) activities after school. 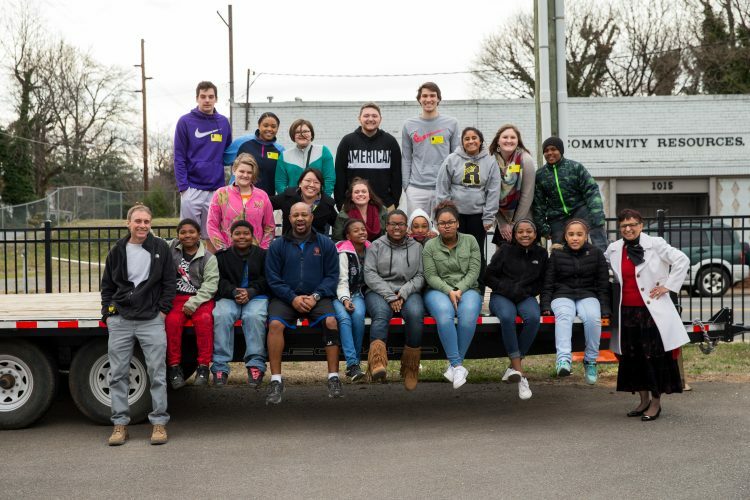 The Randolph education class met at Dunbar in Lynchburg twice a week during the spring and fall semesters, where time was divided evenly between STEAM lessons taught by Randolph students and time working on the tiny house, which was hitched on a trailer in the school parking lot. In the classroom, students used their math skills to make precise measurements, as well as their artistic abilities to create architectural sketches and a logo for their project. 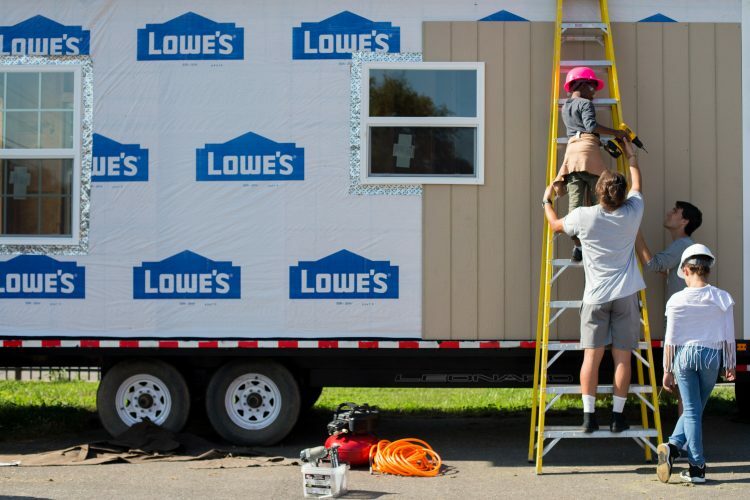 They also discussed budgeting for not only building the tiny house, but the costs of living in one. 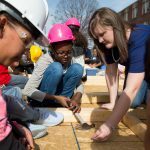 Outside, students got to practice newfound construction skills by hammering nails, sawing wood, and even using power tools. 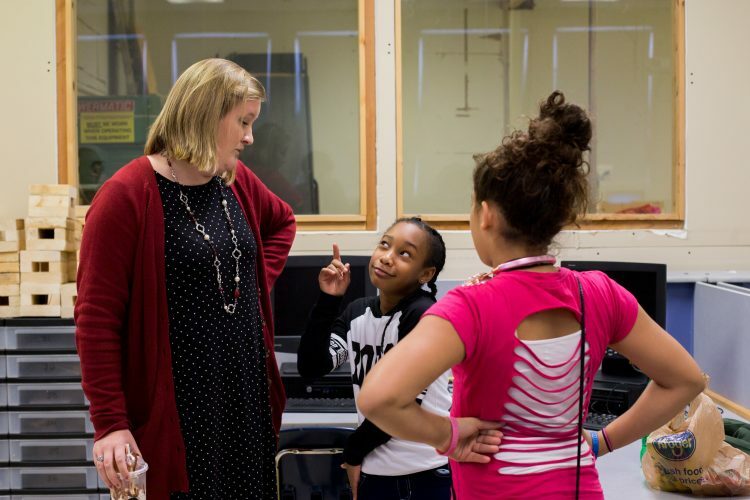 “This was meant to show students why they’re learning what they do in math, and to show them what they can do with it,” said Consuella Woods, a Randolph education professor. 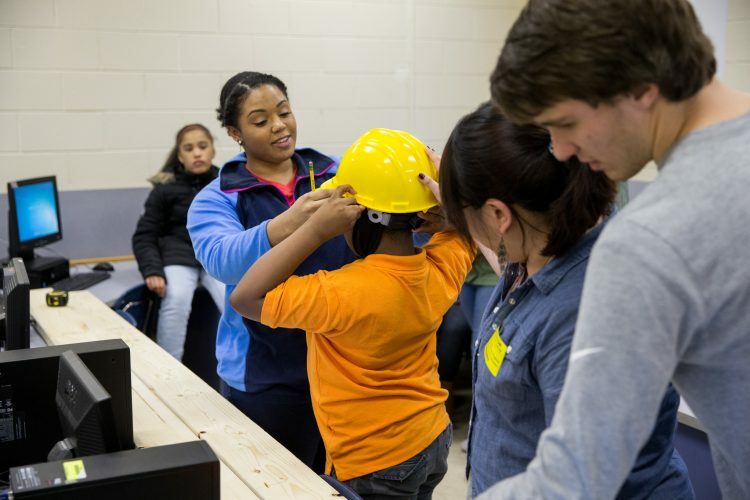 Nine years ago, Woods helped Lynchburg City Schools administrators write a 21st Century Learning Center grant that created the Kids in College program. 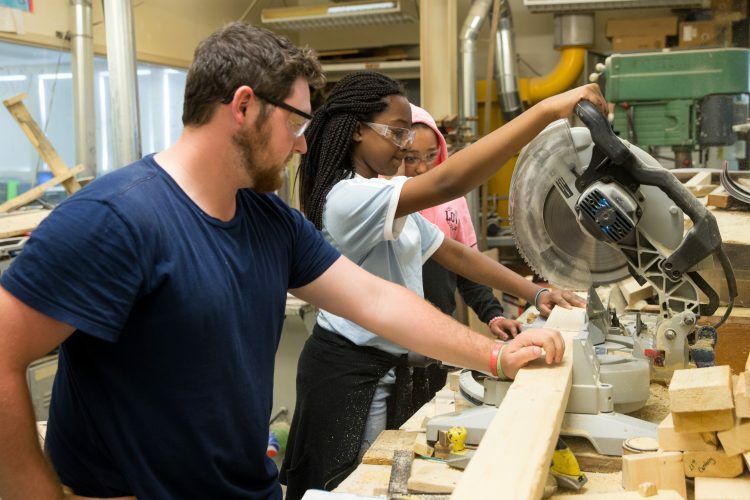 In the past, projects have consisted of fun, hands-on activities and educational games both in the classroom and outside on Randolph’s campus. 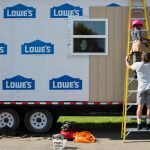 Woods and Vince Lowdermilk, a career and technical teacher at Dunbar, first discussed the idea to build a tiny house last year. 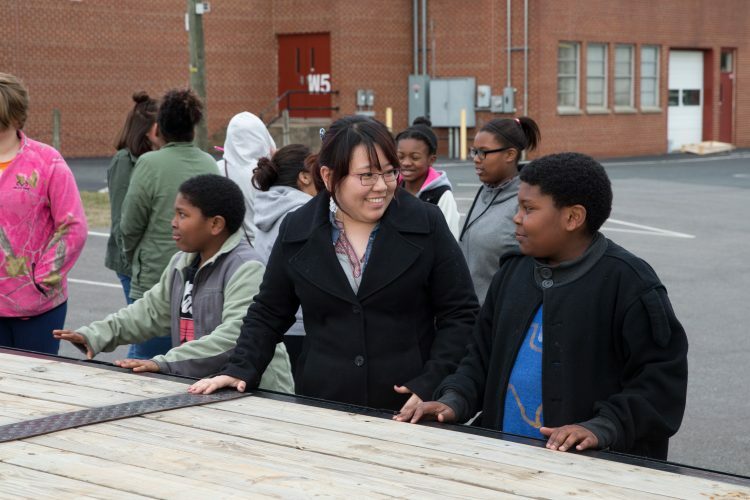 The project was approved by the school system last winter, and work began shortly after. 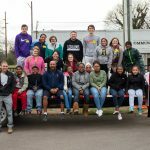 Lowdermilk contributed not only his teaching experience, but also his expertise in building trades as a Class A contractor and the owner of Lowdermilk Construction. 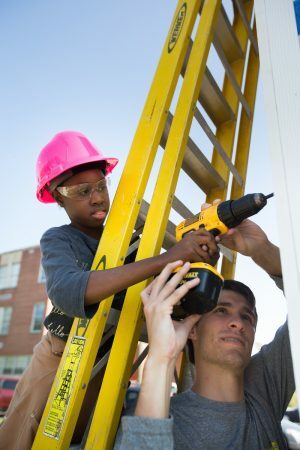 For the class, he gave demonstrations and helped the students (middle and college-aged) learn how to use the construction tools. 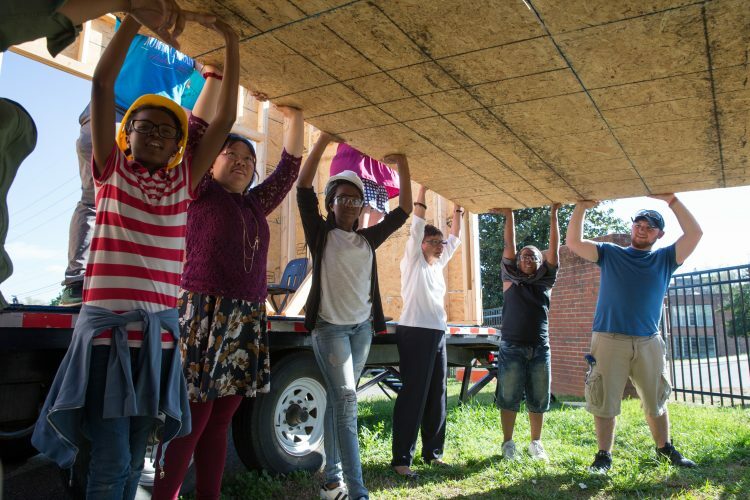 One day, students even took a field trip to a full-sized house he was building. 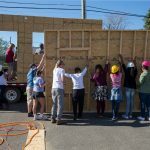 “It’s a good experience for the kids to see that you can make a living doing this kind of work,” Lowdermilk said. 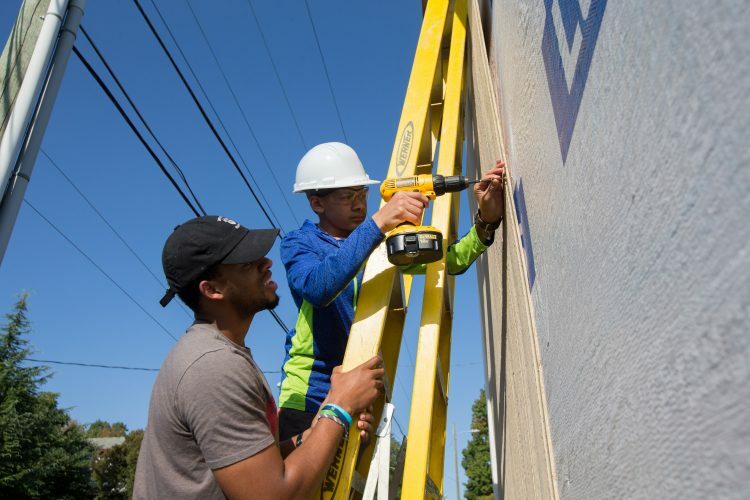 Lane May ’18, a member of the class during the spring semester, became quite a handyman thanks to Lowdermilk’s guidance. He also saw the value in teaching these kinds of skills in schools. 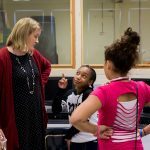 Although most of the Randolph students involved in the Kids in College program are education or liberal studies majors, some like May simply wanted experience working with children. As an English literature major, the project was an excellent opportunity for May to try his hand at teaching. Rebecca Webb ’20 already knew she wanted to become a high school English teacher. 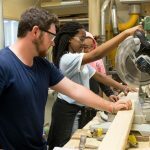 So when she heard about the Kids in College program and the tiny house the students were building, she jumped at the opportunity to join the class this fall. 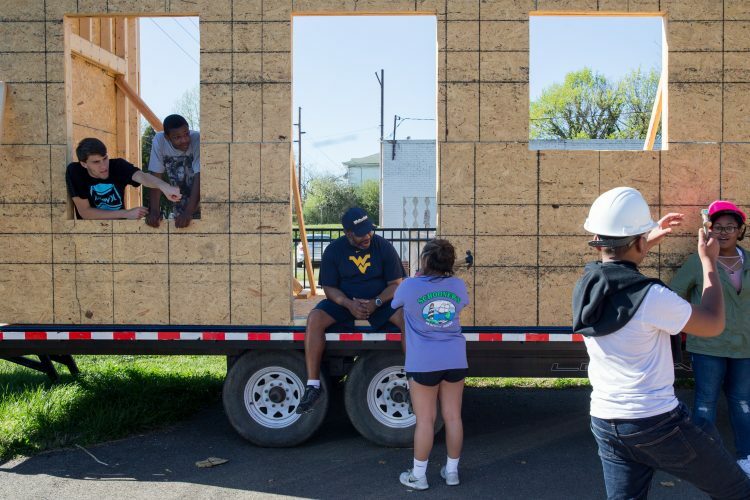 Students finished building the 192-square-foot house earlier this semester. 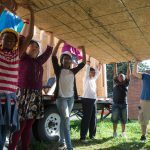 The structure includes a loft for a bed, a composting toilet, and can handle up to 10,000 pounds. Woods said Lynchburg City Schools plans to sell or auction the home. 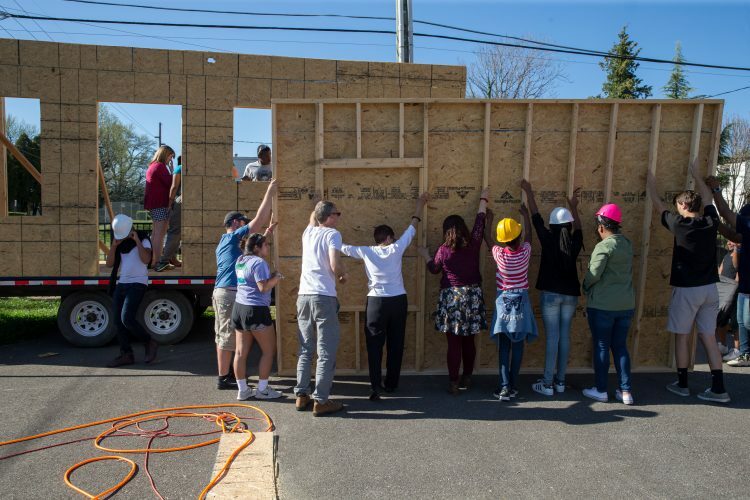 In addition, she, Lowdermilk, and the students transported the house to Randolph in November, where they presented their project at Randolph’s 2017 Heick Symposium. The panel answered questions from educators from around the nation and gave tours of the building.